Every system, phone, circuit card, voice mail or part purchased from Craig Communications comes with a (1) one-year warranty from Craig Communications. (Wireless or Cordless phones excluded) Replacement parts will be shipped within (1) one business day, when under our Craig Communications warranty. If there is a problem which occurs with phone system equipment/parts purchased from Craig Communications within the first (15) fifteen calendar days upon receiving the equipment, Craig Communications will advance replace it with a call tag (prepaid) for the defective phone equipment or item to be shipped back to us. Craig Communications will ONLY replace phones using ground shipping. We are able to Expedite shipping as long as the customer is willing to pay the total cost to ship the defective parts or phone systems. Ground services are provided for the replacement part via a call tag which is included inside the box which we issue. We will issue an RA # (Return Authorization number) for each Customer from Craig Communications. Defective parts/equipment needs be shipped back to Craig Communications no later than (7-10) to ten calendar days after date of replacement warranty. The customers credit card will be charged the full amount plus shipping if defective parts/equipment are not returned to us in that time frame. If you are having issues with equipment purchase by Craig Communications or you wish to request a (RA#) Return Authorization number, we would prefer you call us at : (800) 306-3377 or Contact Us. Refurbished? What does that mean? Refurbished phones, phone systems, circuit cards, and all other phone system products are brought back to the specifications of the manufacturer. All the phones, phone systems and components are repainted (phones only if necessary) but first taken apart down to the circuitry. All telephone,circuit cards and equipment are fully tested on our testing benches. We bring back the components & phones to manufacturers specifications by putting them through an in depth refurbishing process which happens before being freshly repackaged with designation strips, new phone cords, designation strips and user cards and keycaps. Every phone and component is tested before it leaves our warehouse. That's our Guarantee here at Craig Communications! Will the phones be in pristine condition? Absolutely!! Many of our competitors on the internet give phones a simple light once over cleaning right before reselling a "A","B" or even a "C" stock telephone product! No kidding! We dont sell just refurbished Phone System or Components. We also sell unused/ New phones, phone systems and components which come in manufacture's original packaging. All Original documentation and parts/accessories are included. Craig Communications accepts most returns of refurbished and new phones and phone system components but excluding New Mitel phone equipment which is available by special order only and is NON Returnable/Refundable. All equipment or components returned have a restocking fee of 20%. All cancelled orders from the time the order is processed has the same 20% restocking fee as well. All phones & components must be sent back to us within fifteen (15) calendar days from the day it was ordered. We will not accept ANY returns after (15)- calendar days. All products purchased from Craig Communications must be returned the same exact way they were received with all accessories, documentation and original packaging. You will not be refunded on merchandise we receive that is incomplete (missing accessories, paper work, packaging) or defective. All new NEC phone components and phones have a restocking fee of 35%. if equipment has been put into use after purchasing (used in any way) or there has been an order error, (decided equipment was not needed) there is no refund. All warranties are honored, however, equipment orders that are to countries other than the United States are non-returnable and non-refundable . Craig Communicatons will not pay for shipping and the cost of Shipping is to be paid by the customer, both from and to the location of customer. Wire Tranfers only prior to shipping product. How Craig Communications handles Our Customers Privacy? Craig Communications is committed to protecting your privacy and will not transfer, sell, exchange or distribute customer information. Information about our customers is used for the sole purpose of Invoicing for orders, servicing our customers and phone equipment sales offers. (Spam) Unsolicited "junk" e-mail is not sent to ANY of our customers from Craig Communications. We use emails as a way to confirm orders with our customers who placed them online or over the phone. Often they are used to respond to requests from potential customers. Craig Communications does not distribute or sell it's addresses from our customer's to third parties. If you want to be taken off our preferred mailing list, please reply with "please remove me from your list" in subject line. Craig Communications will remove you from getting any emails in the future. Is credit offered to Government Agencies & Businesses for phones, phone system or circuit card purchases? Yes. Although, credit is only given to businesses with above average credit, we offer Government & Corporate terms as well. We extend credit to qualified businesses and government agencies all the time! We have the right to deny any agency or business credit which is based on research done on a particular company. please call or call : (800) 306-3377x1 to apply for credit terms. Download this pdf file: CREDIT APPLICATION & Please fax it to 877-310-2758 or email it to sales@craigcommunications.net. One of our representatives will be in touch with you when your Businesses credit application has been approved. Is our online purchase secure? Phones, systems and components that are ordered via our shopping cart on our website are processed with Paypals certified secured checkout. Paypal submits & processes all online data accordance with the current legal requirements of the telecommunications laws, Federal data protection law, and the law of teleservices protections. Paypal does not reveal to us financial information & Credit Card numbers submitted on our online site. Shipping of phones, phone systems and components. 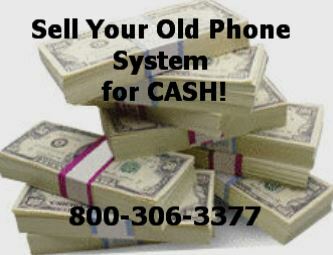 Click to calculate phone system shipping charges.